I will be going away for several days to attend a conference in Philadelphia. I will resume doing interpretations after I get back on Monday the 8th. Generation of Gaia harmonics accelerate. Resets of missed opportunities begins for all of hu-manity levels. Stellar participations are requested and granted. Ultra-fine lineals permeate the bodies. Interpretations: "Generation of Gaia harmonics accelerate." - The term generation refers to the act of creating, manifesting or begetting something, and also refers to a group within a species born around the same time, usually bound by the maturation period. In ether case, the term in some way refers to things that are made manifest. A man and a woman come together and beget a child, which is the generation of their biological attributes catalyzed by the act of sexual union; the product being a new living being born into a generation of their peers. Generation generally refers, to the emergences of latent potentials within a pre-existing object or thing. For example, when you pick up an object and look at it, the meanings that are generated are a product of your intuition, past experience, and choices of acceptance or denial in relation to those experiences, all of which are in potential (unmanifest or ungenerated) until a catalyst is introduced, an object given attention. In the statement, the things being generated are Gaia harmonics. A harmonic is a higher tone or frequency of motion generated as a result of two or interacting pitches. For example, if you play the note C and E, a major chord harmony is produced wherein the frequency lengths of the notes adds on to each other in whole number relationships producing a 'beautiful sound. If we play just C or E, then the sound will not be as pleasant. Therefore, harmony is an additive phenomenon of generation directly dependent on the two or more tones used. In this sense, we could think of a child as a harmonic of their two parents, and so, a Gaia harmonic could be referring to all the living creatures generated as a result of her latent potentials coming in contact with catalyzing forces from the cosmos; the children of mother Earth and father sky are us, and all other living things. But Gaia generates not just physical beings, but energetic or metaphysical realities, of mind and emotion, and I suspect it is these latter two aspects of being that are accelerating as a result of her increased energetic expression. As her energy output increases, as a result of moving through a more energetic area of the galaxy, the harmonics she produces will increase in frequency output and that process will accelerate so long as the potency remains high. The affect this has on humanity depends largely on the individual's choices, but the basis for choice is awareness, and when energy levels increase, so can awareness if one makes the choice to be open to truth. "Resets of missed opportunities begins for all of hu-manity levels." 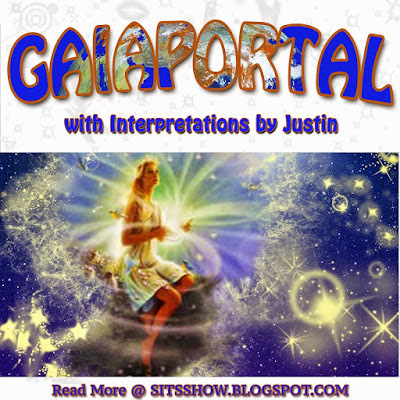 - The term hu-manity within Gaia Portal updates refers to those individuals who are not yet completely on the path of truth, and as such create chaos due to ignorance a majority of the time. A reset of a missed opportunity most likely refers the the universal process of karma or entrainment of wisdom into evolving beings via experience. When we take actions to manifest our desires, the gaps or flaws in our knowledge will manifest as mistake, error or pain. For example, if we wanted to nail a board in place on the wall so that we can hang a book shelf up, if the nail is not placed properly into a stud within the wall, the bookshelf will not stay up, which reveals to us by way of a falling bookshelf that we did not have accurate knowledge. The goal of the evolutionary experience is to send wisdom to the minds of evolving creatures, but this can only come about if we are willing to receive what is offered. In the absence of willingness, in the absence of seeking knowledge so as to manifest our desires with effectiveness, error, problems and discomfort arise. Therefore, this statement seems to be suggesting that all those individuals who are holding back Gaia in her evolution, hu-manity, are being given another chance. And I suspect that the label of hu-man is dependent on one's behavior, meaning, even if we contribute to Gaia's evolution, and our own, most of the time, those times we are not, are the times when our own errors and refusal to accept wisdom make is hu-man. Therefore, even those far along the path of truth must always remain vigilant to self reflection, so as to seek out an opportunity to reset one's self. Here, reset can be thought of as rebirth, the act of conscious death, wherein we let go of who we were to become a more complete version of who we really are. "Stellar participations are requested and granted." - The term stellar refers to stars but also refers to something or someone that is exceptional or amazing in what they do. A painter with expert skill can produce stellar works. The statement makes reference to participations, which we could think of as offers to co-create with the cosmic plan of evolutionary attainment. Given the theme of this update related to increased awareness (Gaia harmonics accelerate) and resets of missed opportunities, I suggest that the thing be missed are stellar participations, an offer from the universe to complete one's soul mission or stellar working. This dances around the idea each individual incarnated for a specific life purpose or purposes, which can only be activated by free will choice. Even though, at some pre-incarnative moment we made the choice to come here, that is not enough. And this emphasizes freewill choice. We actually have to choose our life path in every now moment, and the universe will always give us a chance to say: "no, not right now." So in this sense, fate or destiny are our unique life path, but unlike traditional notions of fate, we must choose our destiny in all moments or suffer in aimlessness, wondering about life without purpose. Thankfully, even when we choose not to take up the mantle of our life's purpose, the universe will wait patently as we prepare ourselves for what will eventually come. "Ultra-fine lineals permeate the bodies." - A lineal is a direct line of descendants. A son can claim to be lineal to their father. Keeping in line with the first statement in this update, the term lineal refers to the products of generation, and given that this statement refers to ultra-fine lineals permeating the bodies of possibly Gaia's inhabitants, then the things being generated could be physical or metaphysical. We could experience a more harmonious body, physically healed and working better to service our needs. 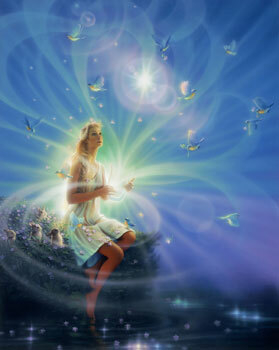 We could also receive insights from our intuition with greater clarity. In either case, the meaning implied is that the whole organism is being effected, an actual evolutionary jump towards Gaia harmonics is taking place that will effect not just the physical but the metaphysical as well. And of course, this will support our choices, either along the path of truth and our destiny, or along a path of stagnation and indecision. For some of us, this will be a great time of personal growth and change, for others it will be a time of gaining peace and tranquility, and others it will be a time of great pain and frustration - all dependent on how willing we are to receive what is offered. Note about meanings: The meanings offered are my attempt to objectify the Gaia Portal updates, to give them a scientifically supported basis in reality. However, the subjective process of reading the update personally is incredibly valuable, and meanings generated in each respect are not mutually exclusive (in conflict with each other). I suggest reading the update, like a tool for divination as if it was written specifically for you; similar to a psychic reading. Your meanings may not match what I share, but that does not mean one is more 'correct' than another. All meanings have value, depending on the context which is applied to them, all perspectives have a place within the whole of what IS, and therefore, can be part of an exploration of one's self. Our perspective is intimately connected to all others.